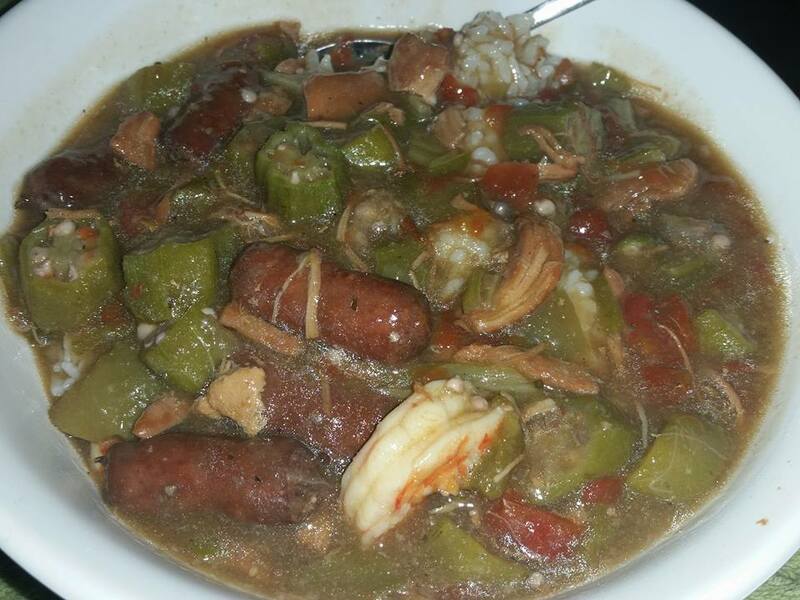 Tonight’s dinner is gumbo. I started it at 10 am. Finished it up about half an hour ago. Letting it cool a bit because it’s Pompei hot so…. there you go. Rice is made and under the soup. There’s an argument for and against rice. 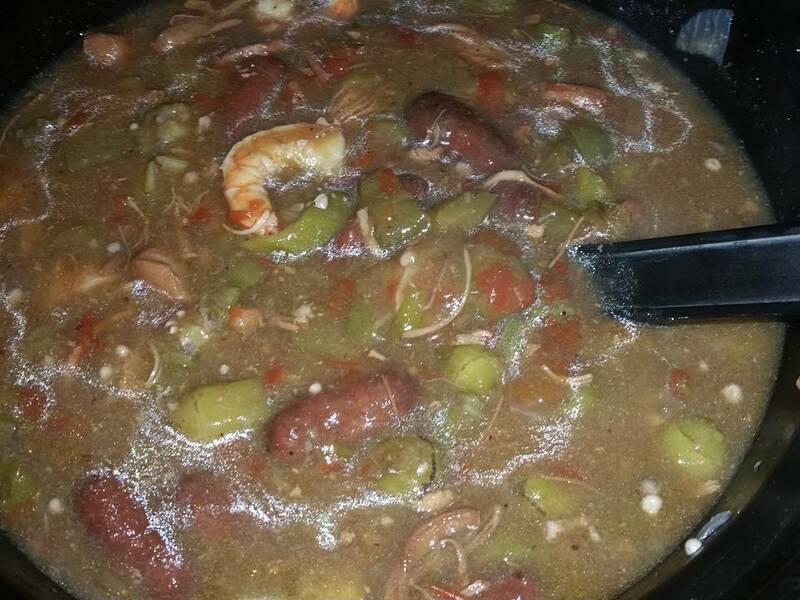 Some people like it in the gumbo. Others don’t. Rice is apparently a point of contention. I like rice so there you have it… rice. Chicken, sausage and shrimp and okra. Mmmmmmm okra. Looks like yum! Are they sausages or frankfurters? That would be a lot of okra for me, I’m not a big fan even when drowned out by curry flavours. Is it essential to the flavour? I didn’t know okra existed until it showed up in a book one day and I had to google up what they were talking about. Not a Canadian veggie. Unless you live in the cities, you can’t find it very often, even in the big grocery stores. Making lemon chicken soup for supper.Quick and easy. Fall and winter are when we eat a lot of soup.